Some of the most frequently asked questions within my healing and teaching practice center around soulmates and romantic relationship. There is a lot of misinformation out there about this topic which can cause much unnecessary hurt, frustration, and confusion. It can be helpful to understand what a soul group is and how this affects your sense of the soulmate definition. Water, the Elixir of Life! Low grade dehydration is a chronic issue I see again and again in my clients. Dehydration occurs when the water loss from your body becomes greater than the water going into your body. The average person, in a temperate climate, loses approximately 2.5 liters of water each day. This amount does not account for additional loss caused by illness, pregnancy, breastfeeding, being in a hot and humid climate, physical exertion, or exercise. Each and every day you lose water through your skin (via perspiration), your lungs (yes, just breathing! ), when you have a bowel movement, and when you urinate. And there will come a time when you will begin to remember. Slowly at first, in snippets of Knowing, and flashes of Light. Something deep inside of you will begin to bubble up into your conscious awareness. Initially it will flow through your fingers as you try to grasp it. And then you will realize that grasping and holding will cause that which you are trying to grasp to disappear. Your Guides will begin to actively engage with you, initially in your dreamtime, and then in your waking time. May you find Peace along your journey. May you be Guided in Light. May you be Graced by Love. And may you always find your way back Home into your Center with ease. The history of the labyrinth reaches back thousands of years. This ancient form of walking meditation has taken many shapes and forms during that time. The labyrinth petroglyph pictured above is one of the oldest known labyrinth designs. It is formed in a classic unicursal (one path to the center) pattern. When we call upon and utilize ancient ceremony and ritual, we tap into the healing energies of all those who have participated in that tradition before us. Everything in existence is comprised of energy and this includes your Chakras. Chakra is a Sanskrit word meaning wheel of light. Your Chakras are energy centers which translate the universal life force energy into an individual energetic emanation and experience. You have seven major Chakras whose center points can be found at different locations along your spine and skull. Each of these seven Chakras are associated with, and influence, basically govern, certain physical organs, tissues and endocrine glands within your physical body. 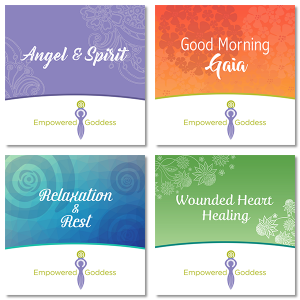 Hello Empowered Goddesses! 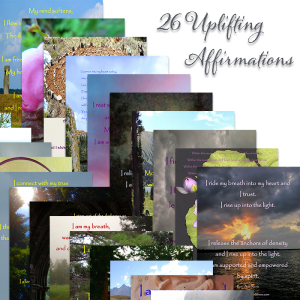 It is a sacred honor to share with you the 2018 channeled message of support from the upper realms. As with anything take away that which resonates and leave the rest. We understand that many of you have come through much pain and challenge. The fight for the light is not an easy one. We want you to remember that you are not alone. We are here. Always here. Now is the time. You are being asked to choose between shadow and light—pain and love. The illustration between illusion and truth has been greatly magnified. This will continue as choices are made clearer. Know that each action or lack of action, each word you speak or your silence, are the choices that move you closer to the light—or the darkness. It is within these moments you are choosing to deny or reclaim the light as Sacred. Your thoughts, beliefs, words, actions, and the way you treat yourself are the powerful intentions you set every single day. All of this energetic input helps create your life experience and therefore greatly affects the quality of your life. The empowered beauty of this dynamic means that you get to choose! You can change your life by creating a healthier positive intention! Begin to empower yourself into a healthier life experience through positive intention by understanding the vision you are currently creating. Self-reflection of your daily thoughts and beliefs can be extremely helpful in shifting your life experience into a more balanced space of joy, happiness, and calming tranquility. Creating an empowered vision of positive intention and gratitude begins by coming to understand the negative thoughts and beliefs you are currently experiencing. 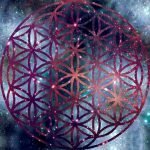 The Thrive Blog is your resource for healing and empowering your Goddess. Here you will find essential information on healing, empowering, growing and expanding the divine Goddess within. This blog is your resource… I LOVE to hear your comments, and I invite you to share these valuable insights with your circle of friends and loved ones and get their comments, too. Use the icons to spread the word to your social network.